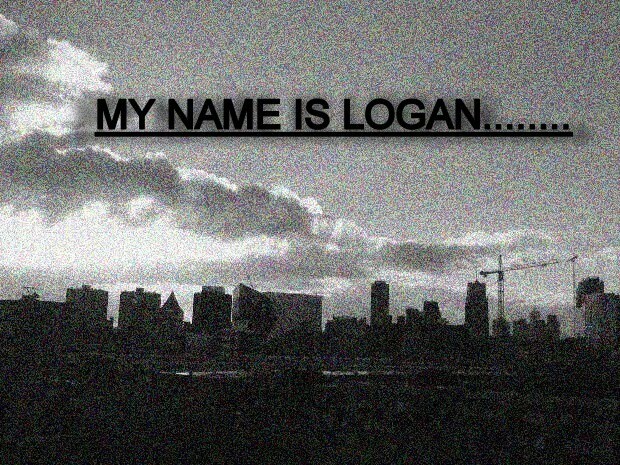 My name is Logan: Ouch. So, I'm out riding my bike in the woods behind my house, having a good time, cruising through the trails, enjoying the shade from the sun and suddenly I feel this sharp, sudden sting on my right arm just above the elbow. For a moment it felt really cold and I though maybe a branch had just whipped my arm, but then it started to hurt like the dickens. I look down at my arm and there's a red and purple circle: something had stung me. I don't know if it was a wasp, bee, or anything else that stings, I just know I got stung. I don't know why, but I find it sort of funny that the 'culprit' was not identified and still at large. That's right, the little creature that stung me for no apparent reason, is still out there in the woods (for all I know), perhaps sitting in his little den or hive, relaxing with a cup of tea in his rocking chair chuckling diabolically to himself, just waiting for my return. I mean, I never even saw him, or her, or it, or whatever. That's just wrong. It's just flat out evil. Even at this very moment, my arm is throbbing at the spot where he got me. And now, no matter how hard I try, whenever I go out into the woods I am going to be wary of mysterious stinging creatures lurking behind every branch and stone. Maybe that was his plan. Maybe he just wanted to send me a warning, as if to say, "stay out of my part of the woods or else..."
Wow... you poor thing. You're right. That varmit has no right even breathing the same air as us. To think stinging a non-suspecting guy just riding his bike. Anywho... I'm glad to see you posting and I'm praying that you'll feel right as rain very soon.